This year's Development and Climate (D&C) Days event explored four themes that are vital for delivering climate resilience for all. Around 350 policymakers, researchers and development practitioners gathered at the 2018 D&C Days event in Katowice, Poland, on 8-9 December 2018 to debate issues at the interface between development and climate change. At the end of the two-day event the participants agreed key messages that will be shared with targeted audiences during the UN climate negotiations and at other international forums. Held each year alongside the Conference of the Parties (COP) to the United Nations Framework Convention on Climate Change (UNFCCC), D&C Days is developing as a strategic partnership platform, with the host partners aiming to influence the ‘ambition mechanism’ processes under the UNFCCC – particularly the Talanoa Dialogue and global stocktake – and to inform climate action on all levels, looking ahead to 2020. This year's D&C Days event had the theme ‘Global ambition. Local action. Climate resilience for all’. Participants came together to harness their experience, the evidence and their learning into aggregated messages designed to influence the climate negotiations, business sector planning and the formulation of climate adaptation strategies in-country. The 24th COP took place in the Polish city of Katowice from 2-14 December, 2018. Amid the formal climate negotiations, D&C Days offers an opportunity for informal dialogue and debate exploring key issues and ideas for future action. We reported on D&C Days as they happened and filmed a number of the speakers and sessions. D&C Days opened with a plenary session on the Special Report on Global Warming of 1.5ºC, published by the Intergovernmental Panel on Climate Change in October. The session considered climate risks for communities experiencing multidimensional poverty and persistent vulnerabilities. Panellists reflected on what 1.5ºC means for all of us, shared lessons for adaptation at local scale, and explored how to jump start the dialogue and efforts to find and apply solutions and innovations for climate resilience for all. Read an interview with SPARC's Sheela Patel about how climate change affects people in informal settlements the most – and about strategies to address their special needs. A popular feature of D&C is the production of a giant illustration that captures key points from the discussions. Illustrator Jorge Martin has produced the visualisation of this year's conversations. This can be viewed on IIED's Flickr page, where the image can be enlarged. The parallel sessions were arranged under four themes that are central to developing resilience to climate change. Host partners developed thematic papers for each of the themes. This theme focused on how to eradicate poverty while empowering and ensuring the participation of the most vulnerable. Too many adaptation interventions are delivering transactions that are disempowering to local communities, deepen existing unequal relationships and fail to achieve transformative outcomes. Empowerment lies in enabling people to increase their ability to take appropriate actions and adjust these in the light of new information, challenges or emerging opportunities. Participants in the sessions under this theme used their experience, evidence and learning to develop key messages to influence the climate negotiations on how to advance the resilience of human communities and the ecosystems with which they coexist. This theme related directly to the intention of the global community to ensure that commitments made under the Paris Agreement are translated into actions that truly consider local needs and realities. Understanding what works where, and investing in community-led solutions for development, can help promote the integrated implementation of the Paris Agreement and the Sendai Framework for Disaster Risk Reduction – which in turn will contribute to realising the Sustainable Development Goals by 2030. • Facilitating the integration of local knowledge systems in relevant climate change-related actions, programmes and policies. • How can we reach a common global transparency mechanism with built-in flexibility that will enable less-prepared developing countries to effectively ratchet up and demonstrate climate action in the coming years? • What type of support will we have to make available to enhance adaptation reporting under the enhanced transparency framework for developing countries, particularly the least developed countries (LDCs)? • What lessons have we learned so far from countries that are communicating their adaptation plans and reporting through national communications, biennial update reports, technology needs assessments and National Action Plans? • What are the key information gaps for assessing progress in adaptation at national level? The discussions examined innovative ways of enhancing downward accountability and tracking how equitably the benefits arising from adaptation are shared, and how the LDCs are approaching the transparency framework in the Paris Agreement. At targeted events during the second week of COP24, we will promote key messages from this theme, targeting negotiating groups including the LDCs and the European Union. Host partners will also develop submissions to the UNFCCC on these messages and will develop web-based outputs that communicate these messages, so that stakeholders can refer and respond to them during COP24 and beyond. As extreme weather events increase in frequency, the need to finance adaptation and manage climate risk becomes more urgent. Employing an integrated risk management strategy helps to improve resilience, and risk transfer – in the form of climate risk insurance – has been gaining attention in climate policy discussions. But accessibility and affordability for poor and vulnerable groups are important barriers to uptake of climate risk insurance. • Leverage local-level public and private finance to promote pro-poor investments and encourage revenue generation for the grassroots. Key messages from this D&C Days theme will inform the multilateral negotiation process, bolster initiatives such as the InsuResilience Global Partnership and Global Climate Action, and encourage the private sector – for example, insurance companies – to lead on climate resilience. Apart from supporting Article Two of the Paris Agreement on achieving a global adaptation goal, this theme highlights that climate change resilience does not only depend on adequate adaptation finance; it also depends on fair, inclusive and just climate actions. The closing plenary pulled together the four themes and the key messages and actions required to ensure that global ambition translates into local action and delivers climate resilience for all. Panellists identified actions needed at the global, national and local level to ensure that we deliver on the commitments set out by UNFCCC. The reflections were chaired by Huq, director of ICCCAD and IIED senior fellow, and van Aalst, director of the Red Cross Red Crescent Climate Centre. Reflecting the participatory nature of this event and the commitment to highlight the role of local actors and local civil society, the panel included representatives of those communities most affected by climate change, field practitioners and local experts, joining in an interactive climate justice dialogue – where everyone participates as equals. D&C Days hosted the “Tea with 1.5°C” video installation and an art exhibit by Karolina Sobecka on Post Production Food. The 1.5°C Climate Cafe transported participants to Haiti, where they could hear the voices of farmers, pastors, business women, and young people talking about how food, water, landscape and livelihoods have changed since they were kids, and what makes them hopeful for the future. The Field Remediation: Salvage art installation comprised a collection of books, recipes, and objects from sites of the Polish food system, together with a set of activities that put Silesians and COP participants in direct dialogue. The collection was distributed in food delivery vehicles in Silesia: participants could catch a ride to the conference in one of the mobile libraries, and sample and learn about the past and the future of the Polish fermentation microbiota, wine industry, food preservation techniques and other wild possibilities of salvage. 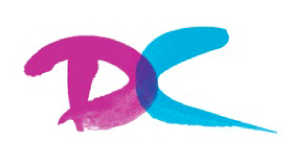 The first D&C Days took place in 2002, and the event has since become a popular part of COP, providing an opportunity for informal discussions on climate change and development. Read about the history of D&C Days. The Development and Climate Days 2018 partners are committed to promoting sustainable development. To reduce the environmental impact of this event we strongly encouraged participants to avoid distribution of printed publications and increase electronic distribution.